There's no question General Motors' 2014 recalls involve a huge number of cars. But even its largest recall this year -- of 2.6 million vehicles for a flaw connected to at least 13 deaths -- doesn't stack up to the biggest in history. That distinction is held by Ford Motor, which in 1980 recalled 21 million vehicles from 10 model years for a problem that caused some vehicles to slip from park into reverse. Records show Ford's solution for that problem, which investigators linked to 6,000 accidents and nearly 100 deaths, was to send drivers a warning sticker to put on the dashboard. So far this year, General Motors (GM) has recalled a total of 15.6 million vehicles worldwide. The total includes 2.6 million with an ignition switch flaw that can cause the vehicles to unexpectedly shut off and disable safety features. 2. Ford (F) holds both the top spot and No. 2. In 1996, it recalled 7.9 million vehicles and replaced ignition switches, which could short circuit and cause a fire in the steering column. 3. General Motors' largest recall comes in at No. 3 on the NHTSA list. Investigators found over a dozen 1960s and 1970s models had faulty engine mounts that could cause the vehicle to accelerate unexpectedly. GM recalled 6.7 million cars and trucks and installed a restraining device to hold the engine in place. 4. GM's second-largest recall was for a suspension issue affecting 5.8 million vehicles from the late 1970s. The control arm, a critical part of the suspension that attaches the rear axle to the vehicle, could detach and the driver could lose control of the car. 5. In 2005, Ford recalled 4.5 million vehicles that could catch fire. It said the speed control feature could overheat, and while it prepared replacement parts, urged drivers to have the feature disconnected. Four years later, Ford issued a second speed control recall on a different batch of vehicles. That recall also totaled 4.5 million cars. 6. Toyota's unintended acceleration recall totaled 4.4 million vehicles. It was started in 2009, but it has continued to haunt the automaker. Earlier this year, Toyota settled for $1.2 billion a federal investigation by admitting it misled investigators. 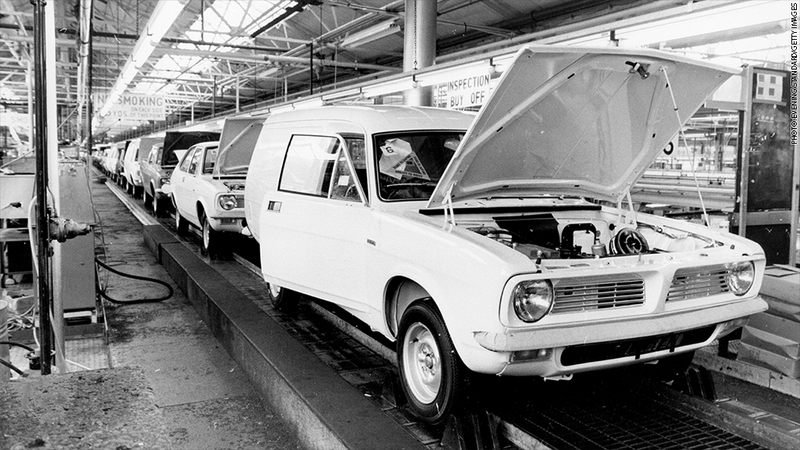 Twenty one million vehicles came off Ford production lines in the 1970s and 1980s with a safety defect. 7. 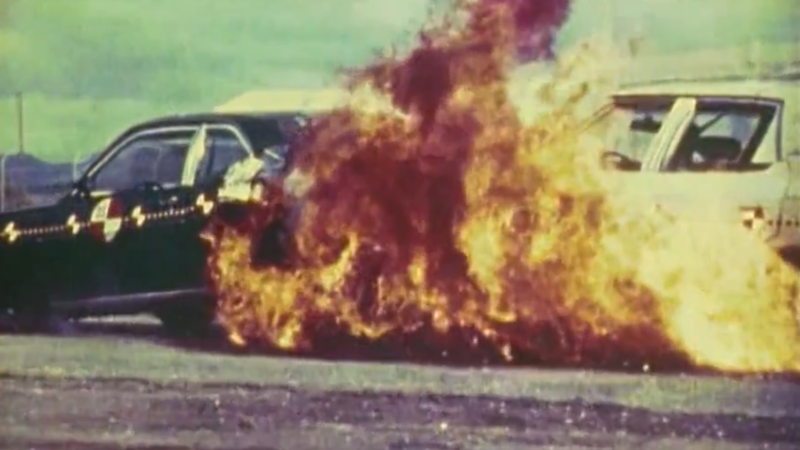 In 1972, Ford recalled 4 million cars with faulty seat belts. It said the belt could detach from the buckle. 8. GM recalled just over 3.7 million early 1970s vehicles for an undercarriage design flaw. Small stones could get lodged in the steering apparatus and make it more difficult to steer the car, GM said. 9. Volkswagen and Honda each issued recalls for 3.7 million vehicles. In 1972, Volkswagen recalled 20 years of cars because a loose screw meant the windshield wipers could stop working. Honda recalled its cars in 1995 when a major seat belt manufacturer found design flaws that meant the buckle could crack. 10. In 2004, General Motors recalled more than 3.6 million trucks because cables holding the tailgate could snap. This meant someone standing or sitting on the tailgate could fall and be injured.